Way We Were: Tom Howe - The Resident Community News Group, Inc. | The Resident Community News Group, Inc. 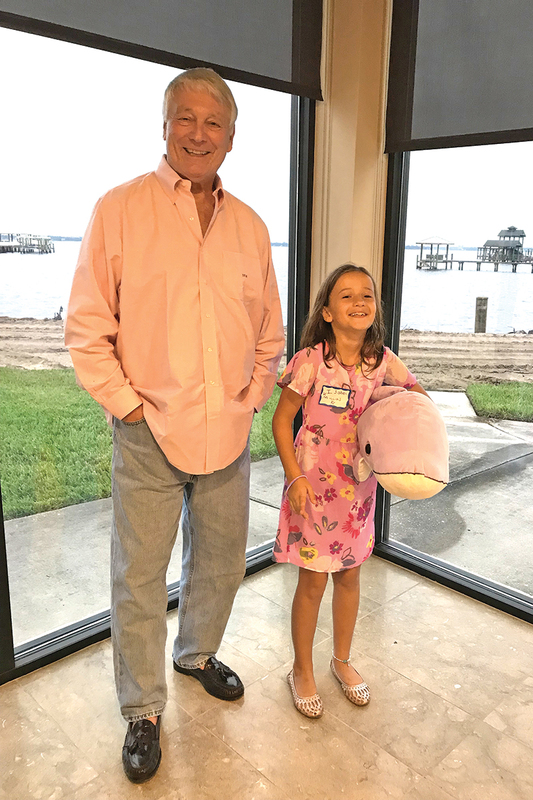 There is a plaque on the wall in Tom Howe’s spacious Lakewood living room that says, “If You’re Lucky Enough to Live on the Water, You’re Lucky Enough.” That saying reveals a great deal about the man, who, today, enjoys a panoramic view of the St. Johns River and has spent a lifetime traveling the seven seas. “As a boy, I took for granted the great opportunities my parents gave me to travel and experience the ways of the world,” said Howe, recalling the personality, patriotism and great sense of humor that his mother, Maxine, displayed as the wife of Thomas F. Howe, Jr., an adventurous Navy submarine captain who made seven war patrols in the South China Seas during World War II and had numerous sea commands following the war. Tom Howe’s father, Thomas F. Howe, Jr.
A vivid example of the world that was opened to the boy by his parents was the summer trip that Howe and his mother made to Europe on the U.S.S. United States, the flagship of the American Transatlantic Fleet. “My father was the captain of a Navy destroyer and he was deployed to the Mediterranean, so we spent the summer meeting him at all the ports and then when he went back to sea, we traveled inland to France, Germany and Switzerland,” recalled Howe. “Grindelwald, Switzerland was a special destination for us that summer because I was turning 9 years old.” Howe’s grandfather, Thomas F. Howe, Sr., had celebrated his own 9th birthday at the Grindelwald Hotel, and so had his father. Now, it was the turn of Thomas F. Howe, III, to continue the family tradition. Later that summer, Howe and his mother visited the Italian Riviera, enjoying towns like San Remo, Viareggio and Portofino, where Maxine discovered an Italian Liqueur called Strega. She was so enamored of the liqueur that she began smuggling caseloads of Strega into the United States but was soon caught by U.S. Customs. Never one to back down, Maxine visited the Strega distillery in Bene Viento, Italy, and charmed the owners. Soon her costs were being covered and her export/import activities were legalized. Many years later, when Howe was an executive in the maritime industry, he would own two motor yachts, each one fondly named Strega! Ships have always played a large role in Howe’s life. He remembers that he and his mother sailed home from Europe on the Exeter, a combination cargo and passenger ship owned by American Export Lines. Since there were no other children aboard, the captain gave the young lad a job to occupy his time – shining all the brass on the bridge. He quickly learned that as fast as he had it sparkling, the salt air turned it green – it was a job guaranteed to keep the precocious boy busy. As a pre-teen, Howe lived in a hotel with his parents in pre-Castro Cuba for several months, engaging in their active social life as they danced the nights away and sipped rum and coke. The Howe family then boarded the U.S.S. Gothels to sail to Panama, where they lived for two years on Ancon Hill, the highest hill on the Pacific side of Panama City. “We had a view of the entrance to the Panama Canal and the Pacific Ocean,” he recalled. They shared that view with a friendly three-toed sloth that lived in a tree next to their house. Howe got to go fishing in the Bay of Panama every weekend with his father and friends in a sport fishing boat. One weekend they caught a black marlin that weighed 1,300 pounds and was almost 18 feet long. It took Howe’s father, two of his father’s friends and Howe three hours and 47 minutes to land the big fish with Finn Nor Reels and nearly a mile of line (5,280 feet), and they were certain it must be close to world’s record for the time. None of the fishermen could lift their arms above their waists the next day. Each time one of his father’s fellow submarine captains transited the Panama Canal, Howe was invited to join his father for a ride. “It was a tight group and I had the privilege of getting to know all of them,” said Howe. The captains would often exit the sub for a homecooked meal and a night on shore with the Howes. From Panama, it was on to Brooklyn, New York, where they lived in Fort Hamilton Parkway and Howe’s father captained a ship out of the Brooklyn Navy Yard. One memorable weekend, his father took him to three baseball games – the Brooklyn Dodgers, the New York Yankees and the New York Giants at Ebbets Field, the Polo Grounds and Yankee Stadium. Today, only the Yankees and Yankee Stadium remain in New York (the Dodgers moved to Los Angeles and the Giants to San Francisco). Later, as captain of a Naval Destroyer Division out of Newport Rhode Island, Howe’s dad led four destroyers through the Suez Canal and remained in the Red Sea for six months to assure the flow of world commerce during the “Suez Crisis” when Gamal Nassar, the president of Egypt, attempted to keep Israel from using the international waterway in their trade with the far east. Howe’s last of three high schools was in Alexandria, Virginia. It was T. C. Williams High School, immortalized in the 2000 movie, “Remember the Titans,” starring Denzel Washington. “That movie, on the integration of the school, illustrated that together we can achieve anything – divided we will always fail,” said Howe, noting that he later used the film as an educational exercise in the Marine Corps and in business. Attending The Citadel (The Military College of the South) in Charleston, South Carolina was almost a given for Howe, as the Howe family had deep roots in Charleston. According to family history, the first Howes came to America from Great Britain in the 1600s and Robert Howe was given a proprietary grant of 290 acres of land in 1683 on the Cooper River just outside of Charleston. The parcel was later expanded to 1,100 acres and became known as Howe Hall. Today, Howes can be found along the low country of North Carolina, South Carolina and Georgia, with the greatest concentration in and around Charleston. Thomas Francis Howe, III, grew up steeped in American history and family tradition. His grandfather, Thomas F. Howe, Sr., was a captain in the Army in World War I and became senior partner of the Chicago Law Firm Howe, Rademacher and Kramer. His father, Thomas F. Howe, Jr., graduated from Northwestern University Law School and joined the family law firm, although he had always dreamed of being a ship’s captain and sailing around the world. December 7, 1941, when the Japanese bombed Pearl Harbor, was the day that eventually led to his father’s boyhood dreams coming true. 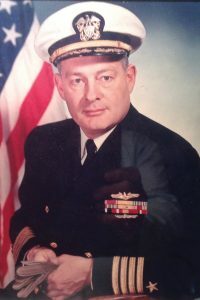 Thomas F. Howe, Jr.’s reserve commission in the Navy was activated, he volunteered for the submarine service, never returning to the practice of law. The grandson of an Army captain and son of a Navy captain, Howe III was destined to follow the military family tradition by becoming a Marine captain. 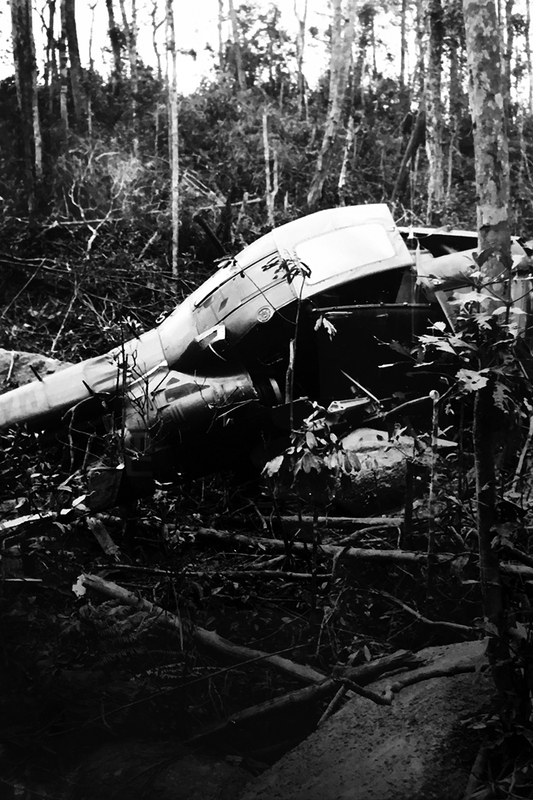 Tom Howe and Major General Edwin B. Wheeler survived a helicopter crash, west of Da Nang, South Vietnam. He attended Marine Corps Officers Candidate School and was commissioned a lieutenant, then basic school at Quantico, Virginia and Tracked Vehicle School (Tanks) at Camp Delmar, California, where, to his surprise, actor John Wayne actually came to the tank school. Wayne invited the young Marines to come see him if they were ever in Newport Beach, and Howe, with several friends, knocked on his door one day. Wayne’s wife, Pilar, answered the door and was not surprised. Apparently, visits from young Marines were fairly common. John Wayne took them out back to his yacht, The Wild Goose, where they drank too much, smoked too many cigars, and talked for hours. “After the first shock of him being John Wayne, he became just a regular guy,” recalled Howe. As a parting gift, the actor gave each of the young Marines a cowboy hat. Howe kept the hat in its original box for years and recently gave it to a friend who is a huge John Wayne fan. A little-known fact Howe learned about John Wayne was that he almost single-handedly saved the Marine Corps from extinction. The story goes like this. After WWII, President Truman and the Democratic Congress decided to slash military spending by disbanding the Marine Corps. Many in Hollywood had served in the Marine Corps during WWII and they immediately took action with a movie script about the Marines raising the flag at Mt. Suribachi on Iwo Jima, all agreeing that only actor John Wayne could play the lead role. When Wayne turned down the script, General Clifton Cates, Commandant of the Marine Corps, flew to California and explained to him the urgency of the situation. The rest, as the saying goes, is history. “The Sands of Iwo Jima” came out in 1949 and was a blockbuster – nominated for four Academy Awards, including John Wayne as best actor. Wayne always called this his greatest accomplishment. Then … Vietnam. Howe was S-3 (Operations Officer) of the First Tank Battalion in support of the First Marine Division, later serving as an advisor to a Vietnamese Army Training Camp in Hoa Cam on the outskirts of Da Nang. He was then selected as the Aide de Camp to the Commanding General of the First Marine Division, Major General Edwin B. Wheeler. 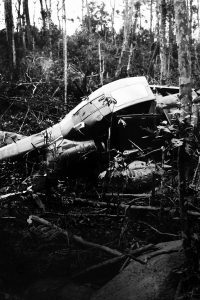 He and the General miraculously survived a helicopter crash in the mountains west of Da Nang and were medivacked to Bethesda Naval Hospital in Washington DC., Howe with head injuries and the General with a severely broken leg. On his return to Vietnam, Howe was retained as the Aide de Camp to the new Commanding General of the First Marine Division, Major General Charles F. Whiddecke. During his final year in the Marine Corps, Howe commanded B Company, First Battalion Recruit Training Regiment at Paris Island, South Carolina. “I discovered, then, that there is no greater responsibility and no greater honor than being directly involved in the making of Marines,” declared Howe, adding that he wrote a letter to the Marine Corps stating that every Marine Officer should serve a tour of duty at a recruit training center in order to have a better understanding of his/her fellow Marines. Returning to Charleston, Howe ran into a Citadel classmate who was working for Sea Land Service, an ocean carrier that pioneered containerization. On landing the job with Sea Land, Tom put on another type of uniform – this time the corporate navy blue or dark grey suit, white or light blue shirt, laced black shoes – no loafers, beards or mustaches. He fit right in. The IBM of the shipping industry, Sea Land had developed a sophisticated process called ATC (Analysis of Transportation Costs) and the young, competitive, college graduates who comprised the sales force met with major corporations throughout the U.S. and abroad, looking at every cost involved with movement of freight including inland as well as ocean, and then giving them a rate proposal for services that reflected considerable savings. Today, this process is called Supply Chain Management. Howe worked in the Pacific Division of Sea Land, relocating six times in six years, including working in an office at the World Trade Center in Tower II. After 10 years with Sea Land, he joined the Maryland Port Administration – commonly known as the Port of Baltimore. For 18 years, he worked in the Chicago office of the Port of Baltimore, calling on customers such as John Deer, Caterpillar, J. I. Case, Komatsu, etc. He then relocated to the Detroit Office of the Port of Baltimore, where he spent eight years taking on the responsibility for all import/export vehicles of all automobile manufacturers. Over the years, Howe became a regular visitor to Jacksonville because of the company’s relationship with CSX Railroad, and found Jacksonville to be a friendly, welcoming town with access to many waterfront residences. 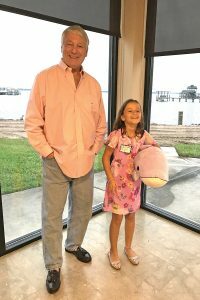 Although he had built a family beach cottage on Fripp Island in South Carolina, where his parents lived out their last days, Howe decided that he would retire in Jacksonville. He purchased his Lakewood condo on the water in 2006, retired in 2010, and was immediately hired as a full-time consultant by Ceres Marine Terminals, working there as a Senior Advisor until 2014. He has since worked as a freelance consultant for various maritime concerns and often does pro-bono consulting for friends around the country and the world. Twice divorced, with no progeny, Howe is the last in a proud line of Howes, but his penchant for paying it forward is alive and well. When in town, he gives a good portion of his time to a lucky little 9-year-old girl named Isabelle Di Grazia.